Fill your weekend away with some of our top picks! Together Fort Wayne, Allen County, and ACRES Landtrust boast over 100 parks and preserves chock full of entertainment and activities for the entire family. Rent some bikes and head for one of the many trails – 100 paved miles! – throughout Fort Wayne and Allen County. Check out Fort Wayne&apos;s Bicycle Share which offers multiple pickup and drop off locations. Rent a canoe or kayak (they also have bikes) at Fort Wayne Outfitters and check out Fort Wayne’s three rivers or pack or purchase a lunch and get some exercise and enjoy nature at the same time at any of the city&apos;s 86 parks. 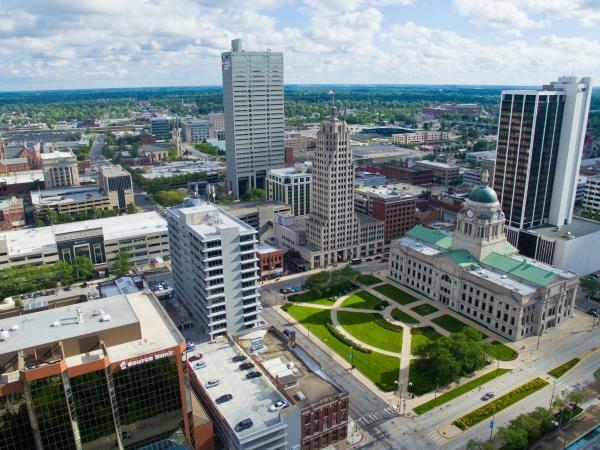 After discovering Fort Wayne&apos;s parks, trails, and riverfront relax by heading downtown to watch a TinCaps baseball game in the spectacular Parkview Field or take the family to the Fort Wayne Children&apos;s Zoo and discover 40 acres of animals and family-friendly fun. Plus, make sure you plan your weekend away during one of the many festivals that take place in downtown Fort Wayne at Headwaters Park! For the weekends when the weather does not cooperate, spend an afternoon indoors at some of Fort Wayne attractions. Browse the new exhibits at the Fort Wayne Museum of Art, a contemporary art museum featuring tours, lectures, workshops, and beautiful exhibits. 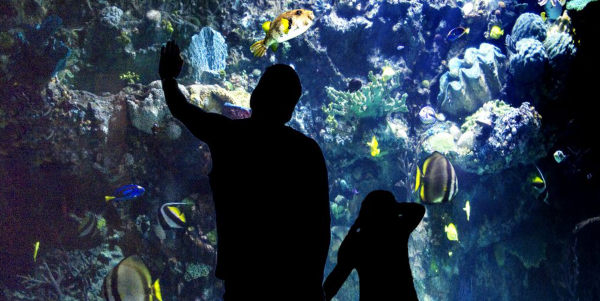 Take your kids to Science Central for hands-on science fun. Science Central is home to 200 permanent exhibits offering you a chance to explore science through experiments and demonstrations. Or, maybe you will want to relax in a Fort Wayne&apos;s downtown oasis, the Botanical Conservatory! Fort Wayne, Indiana is a city of restaurants, almost every year there are new unique restaurants, pubs, and fine adding to the food scene. On your weekend away, make sure you grab a seat at some of Fort Wayne&apos;s best dining options. If you&apos;re craving a great martini, then head to Nick&apos;s Martini & Wine Bar on East State Boulevard, where you will find a wide selection of martinis, wine, and craft beers as well as small plate food selections. In the mood for a cosmo? 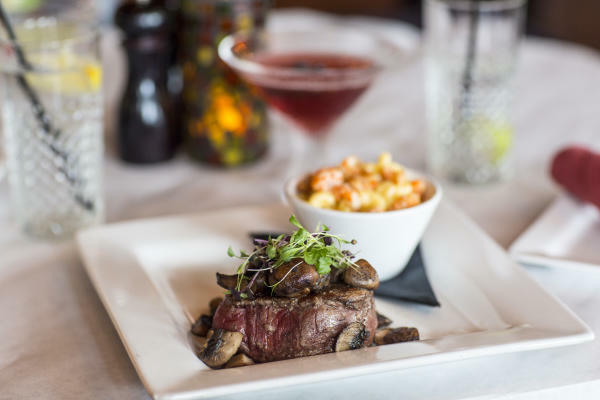 Check out Club Soda on East Superior Street which bills itself as a "Modern steakhouse & martini bar with a twinkling, supper-club vibe enhanced by live jazz," but the cosmos have become my favorite. If it&apos;s a salty margarita and some Mexican fare you&apos;ve got a hankering for, Cebolla&apos;s Mexican Grill with three Fort Wayne locations offers giant – and good – margaritas as well as Mexican, domestic and imported beers. Or consider, Bandidos, for their build your own food offerings! If you&apos;re downtown, check out the Dash In for the best grilled cheese ever. Pair it with one of the craft beers and a bowl of the tomato bisque, vegetable pesto or soup du jour and prepare to be dazzled. The restaurant also offers gluten-free options, eight types of burgers and excellent breakfasts. Insider Tip: You must be 21 to enter and they are closed on Sundays. Have kids who are clamoring for pizza? Right next door to the Dash In is the 816 Pint & Slice, which offers a delightful array of pizzas and craft beers, including gluten-free options. Want to grab a quick hot dog and beverage? 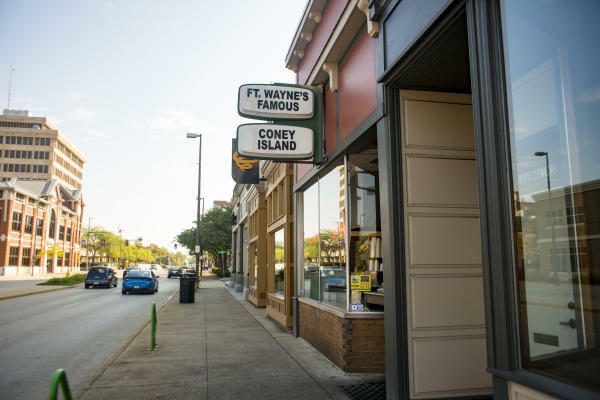 You can&apos;t go wrong with a stop at Fort Wayne&apos;s iconic Coney Island in the heart of downtown. The Main Street restaurant has been offering the best coney dogs and chili since 1916. Another iconic downtown restaurant is Cindy&apos;s Diner, which offers quick, casual breakfasts, sandwiches and comfort food in a tiny diner at 230 west Berry Street. I love their Garbage breakfast – a garbled, stir fry of an everything omelet. Are dessert and coffee more in line with your cravings? Head to Park Place on Main on east Main Street. I have not yet tried the restaurant&apos;s coffee chocolate cake with peanut butter mousse, but my friend, Diane, said it is to die for. If you&apos;re searching for some tasty, late night pub grub, then try Henry’s on west Main. I can&apos;t find anything I do not like at Henry&apos;s. The ambiance is wonderful, as are the beers, fish, coconut shrimp and appetizers. Take home a Fort Wayne souvenir from one of Fort Wayne&apos;s great boutiques, markets, and shopping destinations! Fort Wayne&apos;s largest mall, Glenbrook Square, is located on the north side of the city and offers shoppers a wide variety of choices with over 100 stores and restaurants located inside the enclosed mall. You&apos;ll find Jefferson Pointe on the southwest side of town. It boasts 60 stores and restaurants as well as a movie theater. 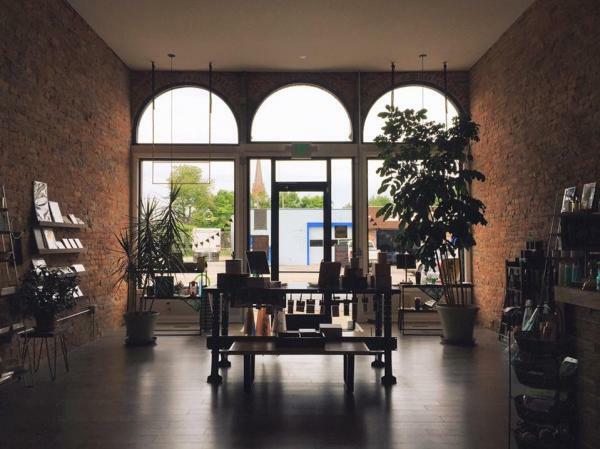 If you&apos;re looking for a unique to Fort Wayne gift, shop at one of the dozens of boutiques located throughout the city or stop by the Visitors Center for Fort Wayne themed gifts! No matter what you choose to do on your visit to Fort Wayne, there is plenty of family-friendly fun for everyone to enjoy! 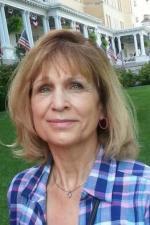 Viv is a 25-plus-year newspaper journalist who worked for various newspapers throughout northeast Indiana, including the Auburn Star, Churubusco News and the Journal Gazette. She now enjoys freelancing at home where she writes in her pajamas and eschews deadlines. She lives in Churubusco, ten miles north of Fort Wayne, but has always enjoyed working, playing and socializing in The Big City (aka Fort Wayne) for most of her life. She is the current president of the Woman's Press Club of Indiana and a member of the Hoosier State Press Newsroom Seminar Committee. She has a blended family of six children and a gaggle of grandchildren whom she indulges and caters to while their parents aren't looking. Her lifetime goal is to find shoes to match the bags under her eyes.